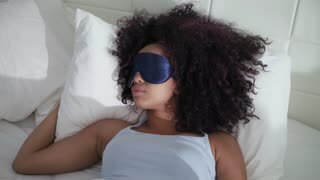 Search Results for "sleep mask woman"
Top view on the young smiled pretty woman waking up in the morning, taking off her sleep mask and stretching after sleep. Young brown-eyed fair-haired woman hides under white blanket, sleep mask on her head, looks around, high-angle shot. 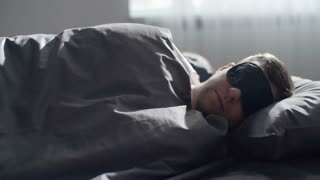 a married couple woman and a man in a mask for sleeping, sleep in bed on a pillow in the daytime. 4k. 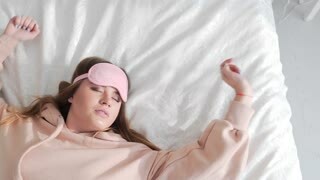 A young girl sleeping in bed at night. She has a sleep mask.